The March meeting of GSCC was held on March 17, 2019 at Logan’s Roadhouse, Myrtle Beach, SC at 4pm. Attendance was 32: 31 members, 1 guest. There was a Board of Directors meeting held before the start of the membership meeting at 3:30.
non-club events. Both types of events are all inclusive. Pat advised the members that Cindy & Larry Baine and Donna & Harold Dobbins had resigned from the club. Pat then informed the membership that the Directors had met to discuss the resignations of Debbie & George Washnak. He went on to say that Debbie & George’s resignations were not accepted and that Debbie & George would remain in their positions in the club. A vote by the membership was in agreement with this. Director at Large positions. George asked that nominations be sent to him, or called/texted, so that ballots could be made up if necessary. At the meeting, four members put their names in to be considered. They were Pat Hicks for Vice-President, Eileen Sharp for Secretary, Debbie Harris for Director at Large and Bob Hallam for Director at Large. George also thanked Larry Johns and Jean Abbene for their work in organizing the Charlotte Trip on March 8. He also reported that a thank you letter had been received from the Special Operations Wounded Warriors Org. for GSCC’s donation. The membership voted to not have a 2019 Car Show. 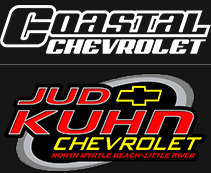 George and Pat will meet with Lee Forrest and so advise Jud Kuhn’s Chevrolet. Further discussion needed to discuss wats of raising money for our charities. Treasurer’s Report: Dee Lopes gave the treasurer’s report. Membership Report: Mickey Sharp reported that there are 59 paid members. Secretary Report: February minutes have been posted on the club website by Pat Hicks. October and November are needed. One suggestion for October is for a Hot Air Balloon Festival event in Charleston. Christmas party will be held at the VFW around December 20th. As events and dates are firmed up, emails will be sent out and more information given at future membership meetings. John Magliato, owner of Maggi D’s, wants to do cruise-ins with our club at his restaurant. He will provide prizes and DJ. A 50/50 raffle is planned with 50% to the winner, 25% to John’s charity and 25% to the club’s charity. A test run on April 27th to see how this goes. Cars and Coffee: Cars and Coffee will be on April 7th at the Bagel Factory in Carolina Forest. Club Meeting: The next meeting will be at Calli Baker’s Fire House, 910 Lake Arrowhead Road, Myrtle Beach on April 14 at 4pm. With no further business, the meeting adjourned at 4:30 pm.